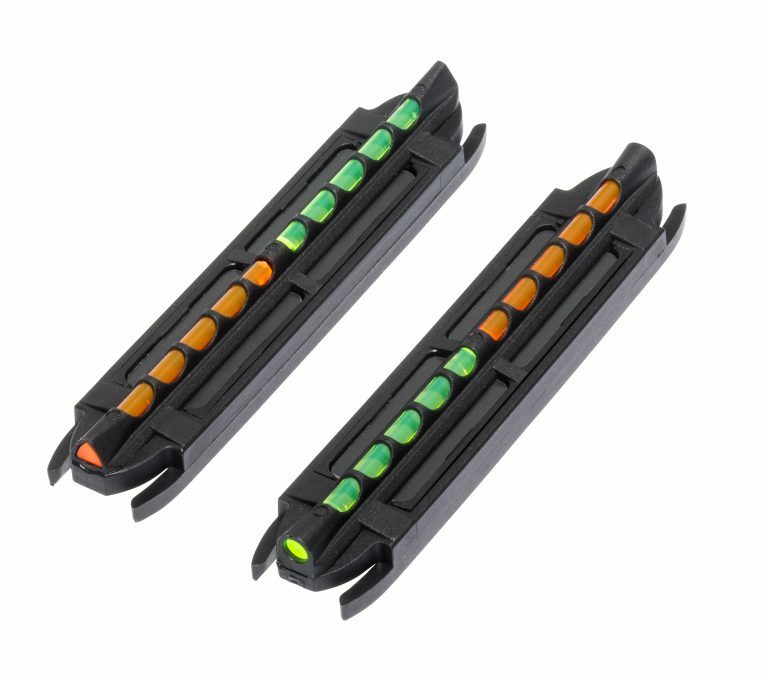 HIVIZ Two-In-One magnetic front sight. We’ve combined green and orange LitePipes into the same sight, to change colors simply turn the sight around on the rib. All Two-In-One sights come with one orange/green round pipe sight and one orange/green triangular pipe sight. Change it fast with Two-In-One!